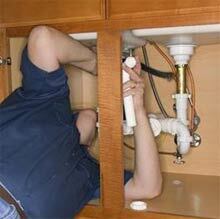 Looking for a plumber on the Isle of Man? There are certain things that you may take for granted if you don’t live on the island that can become a bit of an ordeal if you do live here. Finding a plumber is one of those things. Manx plumbers tend to charge a slightly higher hourly rate than you’ll find in the UK and in general don’t seem to be quite as keen for the work. I know a lot of plumbers will deny this but it’s certainly been my experience from the past 10 years of trying to get jobs done. Anybody who has trawled the Manx yellow pages will be very familiar with the process of leaving numerous messages only to never get a call back, or even better, to get a call back 2 weeks later! Then there are those plumbers that prefer to do larger (heating) jobs and have no interest in smaller plumbing jobs, fine if they advertise that but few do. So when it comes to finding a plumber on the Isle of Man the best advice is to go with personal recommendation from somebody you know and when you find a good plumber stick with them! The island is a small place and most people know somebody that they’d recommend. If you’ve got a plumber on the Isle of Man that you’d recommend please feel free to leave a comment. Another vote for A to Z from me. We were really struggling but A to Z not only paid for and picked up our new toilet from the merchants but also disposed of the old one. Excellent considering the trouble we had just finding somebody who would fit it. Bobby kneale gets my vote. a lad from port Erin who i met in the sidings pub in Castletown. I had a very tricky job of changing an old cylinder which i now know was called a “primatic” cylinder. They don’t even make them anymore and it was a tiny little space in my airing cupboard. 2 plumbers turned down the job as they were “too busy”. Bobby turned up the next day, made a list of what he needed and changed my cylinder over to a new one the following day, he worked from 7am until around 7pm in order for me to have hot water over night, then he returned with a friend to collect the scrap and the rubbish. He charged me £300 labour, and for me trade price on the materials, all in all a great job and a nice young lad. he still does work for me to this day. 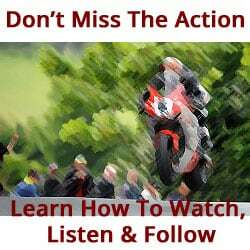 Admin Comment – The above comment from “David Kennaugh” was left from the e-mail address Bobby.kneale89@hotmail.com , make of that what you will. A to Z plumbers – the only plumbers who honoured a promise to call back. The jobs were small but urgent (one tap which wouldn’t let hot water out and another that dribbled and shrieked like a penny whistle). We’re so grateful, and we’ll be using them to upgrade our bathroom when the time comes.